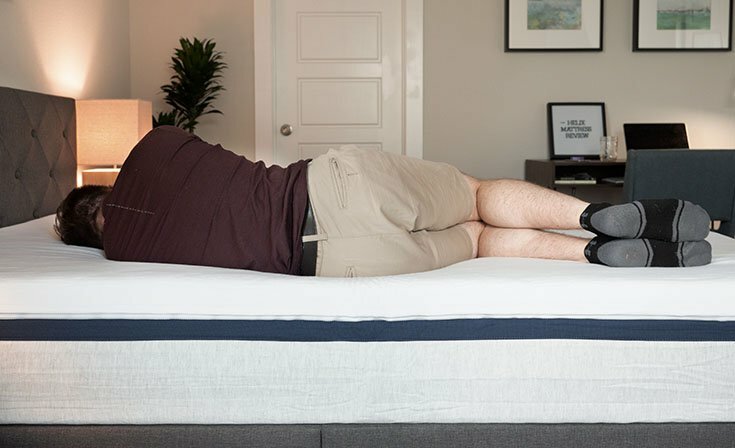 Helix Mattress Review - Does Mattress Personalization Work? Home » Helix Mattress Review – The Perfect Fit? Helix Mattress Review – The Perfect Fit? Are you looking for a mattress to meet your specific needs? You might want to consider the Helix mattress. With Helix, you can take a sleep quiz so the company can find the right mattress for you. In addition, you can select from one of their nine mattresses that vary in terms of firmness and temperature, and components. Because I am a combination sleeper, I decided to try out the Helix Midnight. It is advertised as “Medium Feel,” so I was excited to see how it would perform for me. Can Helix really help you find the perfect mattress? Read on for my full review. Helix provides customizable mattresses that can be a great fit for any type of sleeper. You can get $75 off a Helix mattress by clicking the link below and using code CLARITY75 at checkout or $125 off a mattress plus one other product with code CLARITY125 at checkout. You are looking for the perfect fit for you. Helix asks you to take a sleep quiz in order to help narrow down which mattress for you. With nine potential models, there really is something for everyone. Whether you are a back, side, or stomach sleeper, or worry about overheating, there should be a mattress for you. I received the Helix Nightfall, and this medium-firm mattress was a great fit for a combination sleeper like me. You Can’t Decide What You Want– Helix can take all of the guesswork out of the mattress buying process. You fill out answer to a quiz and they’ll provide what they think is the ideal mattress for you. You want a mattress with latex in it. Along with some other materials, latex is not used in any of the mattress models. If this is a component you really want in your mattress, you may want to look elsewhere. You prefer a classic memory foam feel. If you want a mattress with a very thick layer of memory foam, none of the Helix models really have that. If you want to slowly sink into your mattress, you’re aren’t going to find that here. The cover has two layers. It is soft but breathable. On the Midnight, the first layer is 2” inches of memory foam. It is soft and slow to respond. Next, there is a 1” polyfoam transition layer. Then there are 6” of individually wrapped coils. The base layer is 1” of DuraDense Foam. Helix mattresses are made in the USA. The Helix comes in Twin, Twin XL, Full, Queen, King, and California King. You can switch out the cover for the Ultra Cool Cover option. It has phase change material which can help to dissipate heat and keep you cool. The hybrid design is meant to give a balance of comfort and support. 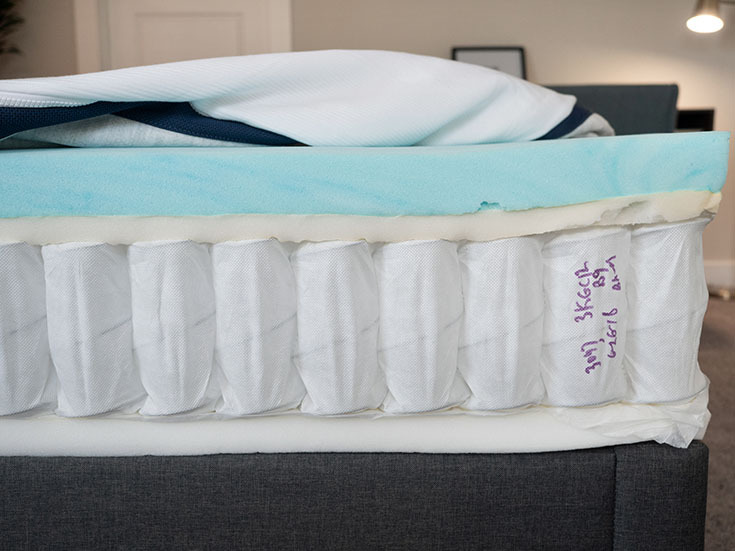 The memory foam in the top layer should be good for pressure relief on shoulders and hips, and the coils should be supportive for back and stomach sleepers. The mattress should be good at keeping you cool. The coils allow for airflow and the option of the Ultra Cool Cover mean this could be a good option for hot sleepers. Helix says that the Midnight is “Medium Feel.” For me, it felt like a 6.5/10 in terms of firmness, just about average. Lying on my back, I feel very well supported. My hips sink in just the right amount, and I feel the foam conforming to my lumbar area. On my side, I’m also feeling nice pressure relief on my shoulders and hips. On my stomach, I feel fairly well supported. As a combination sleeper, I would say the firmness is just about right for me. However, if you sleep primarily on your stomach, you might want to look for a firmer mattress. In terms of feel, the mattress has a balanced feel overall. You get some memory foam feel, but it is only 2”.You should feel the transition layer and coils so, overall, it has a balanced feel. See what I thought of the firmness and feel in the video below. Memory foam usually performs well with eliminating motion transfer. With its top layer of foam, I was not surprised how the Helix cut down on motion transfer. The glass barely moved when I pushed into the mattress and rolled near it. Also, we asked Marten to get in and out of bed to cause a disturbance. I barely felt his movements. I would say this is a good option for couples. While I do feel the memory foam collapse as I sit near the edge, the coils stop the mattress from compressing too much beyond that. I feel quite secure sitting on the mattress. Lying down, I also feel like I can get close to the edge of the mattress without feeling like I will roll off or be ejected from the bed. Overall, I think this Helix mattress has nice edge support. Marten is a staff writer for us. He has a much different body type than me: He is 6’7″ and weighs about 230 lb; I am 5’9″ and 160 lb. Here is what he thought about this mattress. Joe said this was a 6.5 in terms of firmness. I said it was closer to a 7/10. I think that’s mainly because, as a larger person, I press through the soft upper layers down to the firmer layers beneath. On my back, my hips sink in just a little bit, but I feel the foam pressing up into my lumbar area. Moving onto my side, I feel some pressure on my shoulders and hips, but not too much. On my stomach, I feel well supported and my hips don’t bow in too far. So, if you’re a larger combination sleeper, you should find the support and comfort you need. If you are larger than me, I would consider the Helix Nightfall which is made specifically for heavier people. Even though Marten thought this mattress was a bit firmer than I did, he thought it could be a good option for heavy combinations sleepers. As he notes, if you are larger than him, you might want to consider the Helix Nightfall, their big and tall model. The Helix has something for everyone. No matter your sleeper preferences or size, Helix should be able to find a model to fit you. You shouldn’t be sleeping hot on a Helix mattress. The coils allow for nice airflow and there is an optional Ultra Cool Cover as well. Helix also made one of Sleepopolis’s top picks. The Helix is a bed-in-a-box mattress, which means it will come compressed and be shipped straight to you. You will want to begin by removing the rolled up Helix mattress from its box. Then, preferably with another person’s assistance, position the roll on your bed. Carefully cut away the first layers of plastic until the still-compact mattress can be laid down flat. Then, pierce through the final layer of plastic and the Helix will expand. Simply clear away the excess plastic and allow your mattress to breathe and fully expand. I really think that Helix has a little something for everyone. Speaking of the Midnight, it definitely fit me needs as a combination sleeper. I would suggest taking their sleep quiz and, if you know just what firmness you need, select one of their nine mattresses. Helix mattresses come with financing, free shipping and returns, a 100 night sleep trial, and 10 year warranty. This is literally the most uncomfortable mattress I have ever slept on. It was so horrible that after two weeks of trying to make it work and “”trust the science” we were both in so much pain and sleeping so restlessly that we drug out our old mattress and slept on it in the living room. I actually missed work because of sleep deprivation. And no, we didn’t answer the sleep quiz incorrectly. We received a Dusk Luxe and everyone who had laid on it has agreed that it’s the most uncomfortable mattress they’ve ever laid on. It is somehow hard as a rock and yet it hammocks in the middle and fails to support your back. No position is comfortable and you always wake up with pain. I literally have a countdown widget on my phone, which I stare at longingly every day, waiting for the day when I can send this damn thing back and get it out of my house. Oh also not to mention it’s one of the heaviest mattresses EVER. My last mattress was a Tuft & Needle. All I wanted was something a little softer and larger. Helix is the polar opposite of the T&N experience. Horrible bed, horrible customer service, horrible return policy that forces you to keep the bed for 30 days. Never. Again. I’ve had my Helix mattress for about a year. I weigh 350 pounds and am 6′ 5″, it has developed a significant depression. I do not recommend this product at all. 2 years on a Helix and CAN NOT WAIT FOR OUR NEXT BED! The base foam, just like the base foam in our Tempurpedic, has broken down and provides no support. Back and neck feel terrible for both of us. We are 190 and 150lbs. After having 3 different foam beds we are going back to coils for the base as the cheap “high density foam” breaks down within a year and the beds are useless as they do not support at all. Very disappointing. The Helix mattress should work with any base as long as the support beams (what’s touching the mattress) are no more than 3 to 4 inches apart. Hope that helps! I took the quiz, and to my surprise it said: “It looks like we’re not able to personalize a mattress for this particular set of responses.” and gave their phone number! I’m a back sleeper, but can’t figure out why their quiz can’t personalize a mattress for me! Would it be because I’ve shrunk, and am now only 4’11” rather than 5 feet tall? I’m not sure actually. I would reach out directly to them. We bought a Helix mattress and from the moment we unpacked it and tried it out it was considerably more firm than we expected and was beyond comfort. I called the company and told them we did not find the mattress to be comfortable and we wanted to return it as their ads said was easy to do. They told us we had not had time to try it out and get used to it and we needed to keep it longer and we would adjust to it. We called again after a few weeks and told them it was still not comfortable and we wanted it return it. They asked if we would let them send us a topper to try and if that didn’t work we could return it. After trying the topper we were still not satisfied. I called the company and asked for the third time to return the mattress and was told that we had it too long and they would not take it back. Not only are we unsatisfied with the mattress, we are even more unhappy with the customer service and the “warranty”. We highly recommend to not do business with this company. In our opinion the product isn’t as good as promised and the neither is the warranty. Whatever you choose, do not buy from Helix! They have terrible customer service and unreliable delivery times. I tried to work with them to resolve a delivery issue with a friend’s order but the customer service team was unwilling to help. It’s such a shame because they make a good mattress (I love mine) and my friend is out a mattress a whole extra week. It makes moving even tougher when you have to sleep on the floor. I love the feel and back support Tempur-Pedic Flex Prima. I am a stomach and back sleeper. Would you think the helix is a comparable option or would you suggest another option. Very different mattresses. For one, Helix doesn’t use memory foam, so if you really like the memory foam feel that’s something to be aware of. I am a 62 year old male with moderate lumbar pain. I need to replace my mattress on adjustable bed. would prefer to keep a spring mattress. Do not like the sinking feeling of memory foam. Are there any brands that you could recommend i look at? I’ve been sleeping on my custom Helix mattress for more than three years and it’s infinitely more supportive and comfortable than my old Temper-Pedic mattress that in the summer was so soft it cradled me. It was a struggle to get out of bed because I was buried in the mattress. During winter it was like sleeping on a marble slab. My Helix maintains its customized support regardless of temperature. As a 69 y.o 220 lb 6’0″ male, I can honestly say this is the most supportive and comfortable mattress I’ve ever used. And no more backache. Glad to hear it worked out, Gary! I have had the Helix for 8 months and have to already put in a warranty claim. The foam loses density in the highest use areas like where you sleep every night. I am a side sleeper and the lost density is causing a lot of problems. I have to wedge a pillow under my hips to compensate for the dip that happens. The top foam is very spongy so it bounces back but the support layer has lost it’s density fast. In the beginning it was amazing but it’s been less than a year and the only thing I’m feeling now is neck and back pain. Ordered compromise matress trying to avoid problem with dual side sleep number of rolling off my high firm side to my wife’s low soft side. Unfortunately it was much too firm for my wife as I loved it. Would recommend trying helix based on my experience with refund gaurantee. Helix 1st offered topper to soften it. We declined. They were unable to find recycling or charitable organization to accept return in my area and presented me with some very reasonable options to fulfill refund requirements. There was some effort on my part to pursue less wasteful option but all communication with helix was friendly and not at all pushy. They even wrote a hand written note thanking me for effort spent of pursuing more charitable disposal option. Based on this alone, I would certainly recommend helix trial. Just went through the process of exchanging my helix dual comfort for a softer one for my side.Called for a new mattress only to find I have to pay $250 for new one (price increase during trial period),also they wanted me to hold old one for pickup in 2 weeks ! My guess is to hold my refund a little longer ! Otherwise a good product !Customer service needs improvement !!! Is there a major difference between the “medium soft” and the “medium, medium firm”? I cant make a decision because i know what id like but i have no idea which is closer to which i like. I love the way tempur flex medium firm feels if that can help. 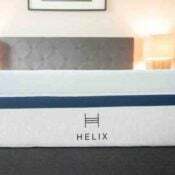 Just heard about this Helix mattress so wanted to look into it a bit more. First and foremost, I’ve been in the mattress industry for several years – sales and management. Secondly, my background is analytical chemistry and pharmaceutical sales. The reason for stating this is to add validity to my recommendation as opposed to someone who just has a job in the mattress industry. My expertise includes cardiovascular disease (MI, stroke, PAD), mental health (depression) and insomnia. Beds in a box are extremely convenient and much more comfortable than sleeping on the floor. Other than that, don’t expect much. Durability is poor. The foams used in beds like the Helix would have to be porous enough to compress into a small box. The coils used in the Helix don’t seem to be “pre-compressed”. THAT means that those coils over a short period of time will flatten. Finally, one CANNOT obtain a comfortable mattress that is “customized” to them based solely on answering questions on their sleep patterns. IMPOSSIBLE! The ONLY way to use SCIENCE in making a bed is to implement electronic measuring devices to specifically identify and address specific pressure relief points. I can go into more details/reasons for why the Helix and other similar bed-in-the-box products are just an AWFUL solution to resolving your sleep issues but will leave that for another time. But for now, don’t waste your money on something that you can’t feel and won’t hold up for very long. BAD idea purchasing this mattress! Just wanted to post a comment about my opinion on my Helix mattress for people looking for reviews because they’re considering buying one. I would give my Helix mattress 3 out of 5 stars. Don’t get me wrong, overall its a comfortable and good quality mattress and I enjoy sleeping on it. I guess for me the only downside is for $900 this mattress didn’t WOW me like I expected it to. The mattress stays cool which is good, its firm (but I do wish it was a tad bit more firm for my taste), but the main thing that made my buy this mattress and pay the premium price is it was supposed to be customizable for someone who is a side sleeper and I don’t really see a huge difference in comfort than I do sleeping on a standard mattress. In all I like the mattress but if I had tested it before buying it I probably would have passed because for a $900 price tag I don’t see that much of an increase in comfort sleeping on my side to justify the price difference. If the price were lower I would recommend it to other people but at $900 I would say you may want to consider some other options first. Glad to find this review–I’m currently down to two choices in my mattress search. The deciding factor for me will be fumes/smell, since my husband is super-sensitive to that. Can you go into any more detail about any smell, odor, fumes, etc, that you might have gotten from the Helix? Hi there – Helix has a bit of an off-gassing smell, I’d put it at average for a bed-in-a-box (all have at least some off-gassing). I didn’t smell anything after 48 hours, though a person very sensitive to smell may smell something for a bit longer. As a side sleeper would you recommend the Helix or is the Colonial or Liberty a better idea? Hey Craig – both can work for side sleepers, really just comes down to your feel preference. Will this mattress work with an adjustable base? Hi Joe – I have a Tempur Pedic bed currently. It came with a foundation. Can I use that same foundation with a Helix bed? Hi Brian – that shouldn’t be a problem, I’d just check Helix’s warranty to make sure it is in compliance. I was wondering about your low ratng on this mattress’ edge support? Is that because you have a platform bed? And someone asked if this mattress needs a box spring? Thank you. I wouldn’t consider it low, it’s just average for a foam mattress (this is independent on type of base). This mattress does not require a box spring. More of a question than a comment, how do these online places, like Helix, do the returns? Do I have to roll it back up and try and get it back in the box? Hey Philip – no definitely not. Most companies will send someone to pick it up, either a donation place or disposal company (not sure exactly what Helix does). Thanks Joe, just put in my order, will see how it goes but I have high hopes, and hope not to have to worry about a return. I bought a helix 2 months ago and have been sleeping on it since then. Here are the pros and cons according to my experience so far based on ‘Dual Comfort’ for a 240 lb, 6’2″ male, and a 160lb, 5’10” female. Both sides were medium firm, ‘foot out the cover at night’ cooling option, side sleeper (me), stomach (me). This makes sense if you go through the ‘test’ during the buying process on the website. Cons- the seam down the middle really bothers me. Its visually and physically noticeable and i don’t understand why that wasnt pointed out before purchase. I’m very fit and athletic, yet the past week I’ve been waking up with back discomfort. As a sidesleeper, the bed provides pressure relief on my shoulder, but seems a bit too soft for proper alignment in my back. It sleeps a bit too warm (not hot) for us both as well. ‘Foot out the cover’ not really cutting it lol. But, overall, we’re happy with it because it is very comfortable, it is a wonderfully inventive company and the customer servive (return policy) is top notch. To resovle the above issues Im going to call them today – repeat what ive said here and order another, while asking for this one to be returned. Ive actually been sleeping in my husbands side and prefer that… he is very accommodating lol. Hi Sharon – thanks so much for sharing your experience! I like your reviews and your really cover a lot of mattresses. Im a side sleeper. 6’1″ 190lbs athletic build and i am trying to descide on a matress. The bear, helix, lull and leesa. Any recomendation? I have back neck pain but i think im on a too firm mattress (spring with latex) i would appreciate your input. My husband and I are total opposites when it comes to a mattress (I need soft he needs it firm) so personalizing sounds amazing but how do they personalize temperature regulation? I need to sleep cool and he’s always cold. Also, does this foam latex have a smell that needs a lot of time to go away? Hi Stacey! When you personalize each side of the Helix, they’re essentially making two mattresses and fusing them together, so they can have very different characteristics if you so choose. I didn’t notice much smell with the Helix. My husband and I just started sleeping on this mattress and really like it. My hope is that it will stay this way for years. I am curious, did you personalize each side? And if so is there a SUPER noticeable dent or hump in the center of the bed? This is the part that is giving me the most pause. My husband and I are shaped and sleep very differently so I know we would want to customize….given the option. but he is often gone and when he is I find that I kinda move over to his side of the bed in the middle of the night….if you lay in the center of the bed does it feel….odd? Thanks in advance. Hi Mariah – I did not customize each side. I’m told that Helix is better than most at fusing the different sides together to avoid that potential hump in the middle – but no personal experience to speak of. we recently bought a novaform from Costco. It is very comfortable except it is too hot, when I get into the bed it is freezing for about 5 minutes then it slowly warms up til after 4 hours I wake up from the heat. it is awful…how about the Helix, is there a heat problem with it? Sorry to hear that, I haven’t personally tried Novaform but have heard good things! Helix in my experience was great with heat (kept it relatively not hot throughout the night). Did you mean the mattress gets hot throughout the night or you keep the room hot? Does the mattress get really hot or does it stay cool throughout the night? You mention a time or two, “You like foam …” or “You don’t like foam …” How does one know weather he does or not (like foam)? Personally I have no clue, having had my current mattress way, way too long, 16 or 17 years, if that gives you a clue to its construction and style. I think it has springs in it, though; which, oddly enough, still feel pretty supportive to the touch. But I’ve been assured 100% of the time that it is way too old to still be as supportive as I want. Thanks. Hi Lee! 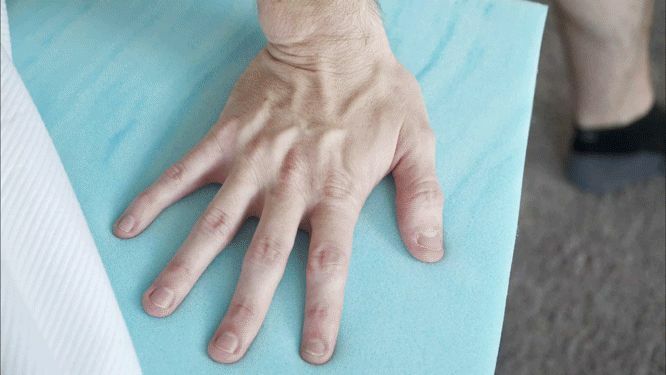 Really there’s no way to know besides trying out a foam mattress. Most people have tried it at some point (hotel, friend’s house, etc) so they at least have a general idea of the feel. If you’ve never tried one, I’d suggest going down to a local mattress store and just laying on a few foam options to see how it feels. I wouldn’t recommend choosing a mattress like this (it takes a few nights of sleeping on it to know if it is a fit) but at least it is a starting point! what kind of box spring would you recoomend? I got a platform bed with wooden slats from Amazon. I’ll be getting more into this in the future with my site. Just make sure the wooden slats aren’t too far apart if you go this route. This Helix mattress company sounds pretty cool, I’m digging the personalized idea a lot! I love things that are made just for me. Quick question – my husband and I have totally different body shapes, he’s 6’4″ and 220 lbs, and I’m 5’5″ and 115. Do you think a Helix would work well for us? You can actually personalize each side of the mattress, so it should work well with couples.